It’s a big problem in Africa, and you can really taste it in any cake, cookie or pizza made with weevil-infested four! I’m pretty sure that ingesting a few of the wee beasties (especially when cooked) would not be harmful, but it’s a bit disgusting! Look again at the picture and you can see the larve too, which were wriggling around in the flour when I took the picture! If you have a good sieve, you can probably get rid of them, but the taste is likely to remain. 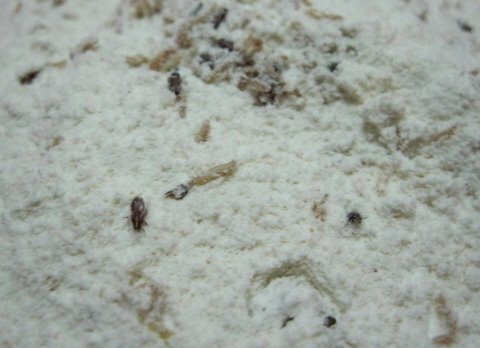 Best way is to find a supplier who’s flour doesn’t usually have weevils in. There you go!